Hugo Coffee Roasters is a friendly, small-batch roastery located in the high altitudes of Park City, Utah, inspired to elevate the coffee experience through highest-quality beans, meticulous roasting and hands-on customer care. 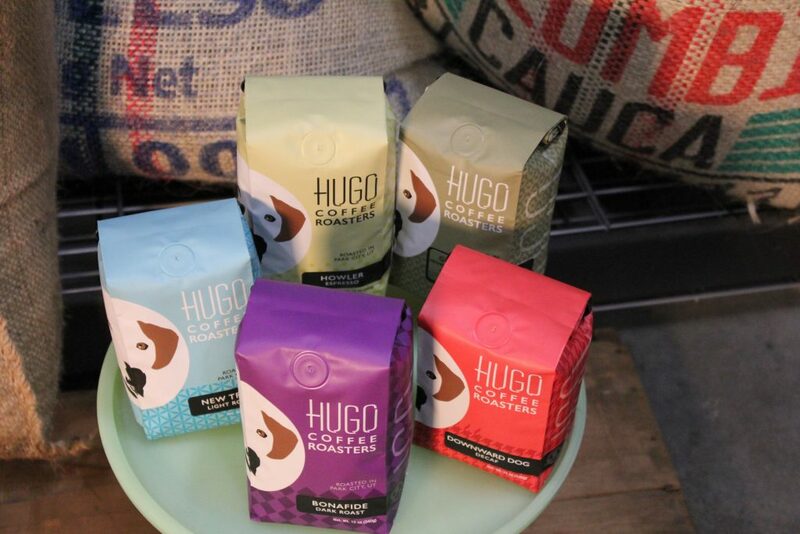 Hugo Coffee Roasters was launched in December 2015 by Claudia McMullin. Claudia opened her Hugo Coffee shop in the Visitor Information Center in Park City in February 2014. In August 2015, Claudia hired head roaster, John Lynn (formerly of Silver Bean Coffee Roasters), and for the next four months, Claudia and John created Hugo Coffee Roasters. During that time, John created the signature Hugo Coffee roasts with the specific purpose of appealing to a broad palette. These roasts, Bonafide Dark Roast, New Trick Light Roast, Howler Espresso, and Downward Dog Decaf, do just that. Hugo Coffee also has a rotating single source rotating coffee that changes every 4-6 weeks and is typically a light roast. Purchased a small bag of Hugo Howler Espresso while in Park City last year. Specifically purchased it because the dog on the package reminded me of my dog. Now I purchase it because it is the best whole bean coffee that I have ever had. Only coffee I prefer now! So glad we made a random stop out of the Olympic Park and discovered Hugo! Delicious coffee, and great service. Claudia is very efficient, and Hugo coffee catered our celebration brunch and made it even more so successful! The Brand: In creating Hugo Coffee Roasters, Claudia specifically and intentionally created a brand that is high end yet friendly and approachable with a core tenet focusing on customer service. The point is to occupy a space in the high end coffee industry that eludes most hipster, off-putting coffee roasters Hugo Coffee Roasters was created to be different: high quality blends that are widely appealing to a broad palette at a lower price point. Why? Hugo Coffee Roaster blends are designed to appeal to a broad base of customers including hotels, corporate offices, resorts, caterers, and grocery stores who want a local brand at reasonable prices whose products satisfy a variety of tastes. Who is Hugo? Hugo is Claudia’s handsome rescue bulldog mix. Claudia is a passionate dog lover and rescuer. Indeed, from 2010-2012, Claudia took that passion and ran local animal rescue Friends of Animals Utah n/k/a Nuzzles & Co. This passion for dogs and rescues is in the DNA of the Hugo brand. In fact, in visiting Hugo’s Instagram (@thehugocoffee) or FB page, you will see as many pictures of dogs as you will of coffee. Plus, what could be more fun than great coffee and dogs? This entry was posted in Food and tagged coffee, roastery on July 30, 2018 .